Discussion in 'Promo Codes and Contests' started by orbilabs, Jan 18, 2015. 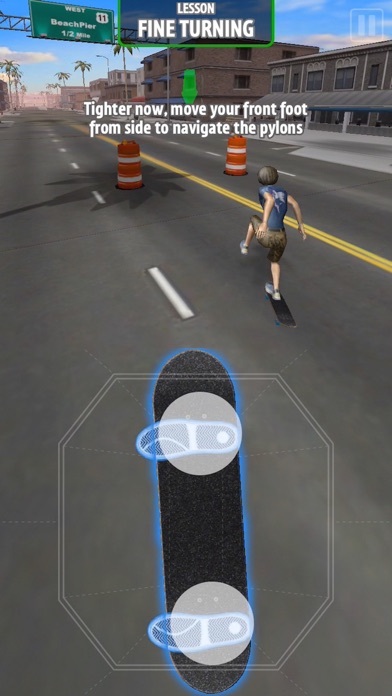 We just released PureSkate 2 for iOS. If you liked Tony Hawk Pro Skater or any of the new generation of mobile skate games, we would love you to give it a shot and give us some feedback. 6) Winners will be decided Jan 25th using www.randomresult.com. Will post the winners names here and will PM them to ask for a Paypal address for the winnings, to be sent out that day! ALL the promos are used up but lots of time to get in on the contest. 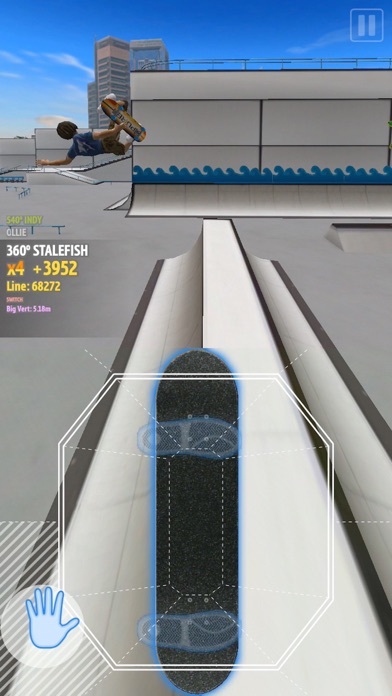 PureSkate 2 is $2USD, and with very few entrants and 2x$25 up for grabs, the odds are good that you could be ahead here (and you'd be giving us some much needed insight). Contest closes 1/24! 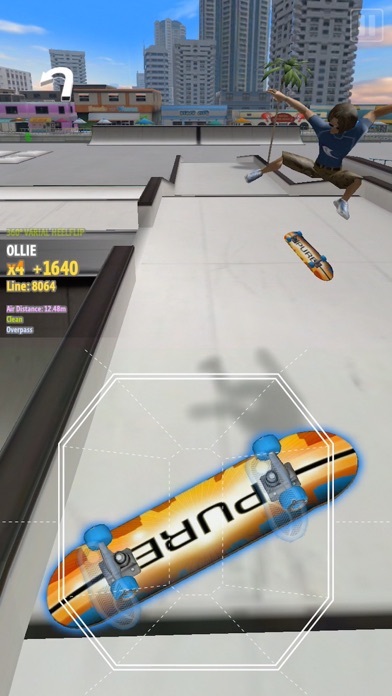 The most fun and responsive skateboarding game ever. 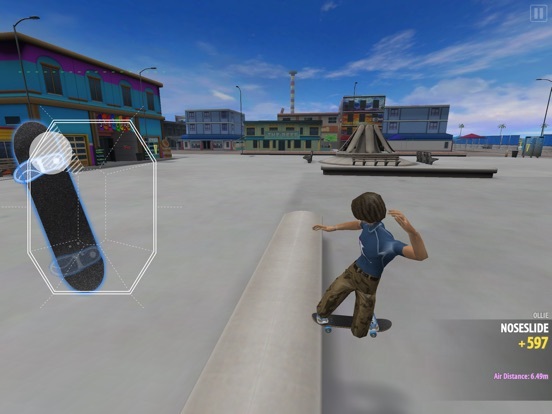 When you play PureSkate 2, *you* are the skater, using your fingers and your device to catch air and perform tricks you never thought possible. Watch and feel as your skater reacts to each and every push, ollie, bump, tilt, and grind you perform. Note: Recommended on iPhone 5 and higher. Features: - Intuitive touch controls - Free form flips and shuvs, grinds and slides, grabs, manuals, ollies, and nollies in combinations limited only by your imagination - Skater that responds to your control - Completely free roam world - Many replayable missions - Skate, build up your skills, skate bigger - Custom Decks and Boards (additional skaters coming soon!) 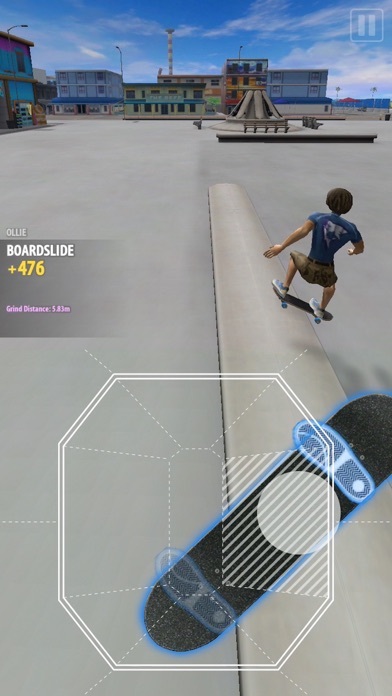 PureSkate 2 comes with one unlockable Skate Park for in-game Bucks you earn by skating and beating missions. 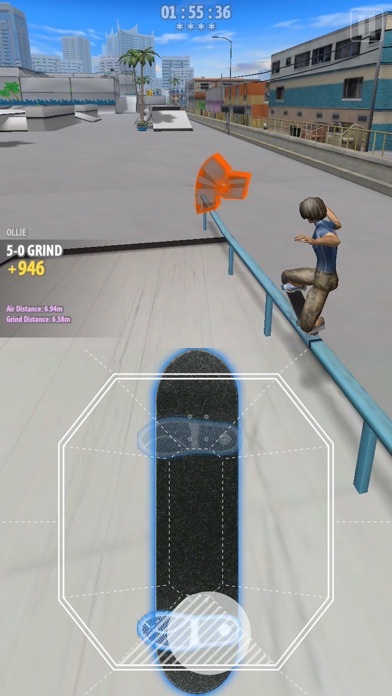 Future skate parks, decks, wheels, skaters, and skill points are all unlockable via in-game Bucks. An unlimited number of in-game Bucks can be earned by skating and beating missions, or you can optionally accelerate your progress with In-App Purchases. *INTRODUCTORY PRICE* Price will go up as new levels and content is released. 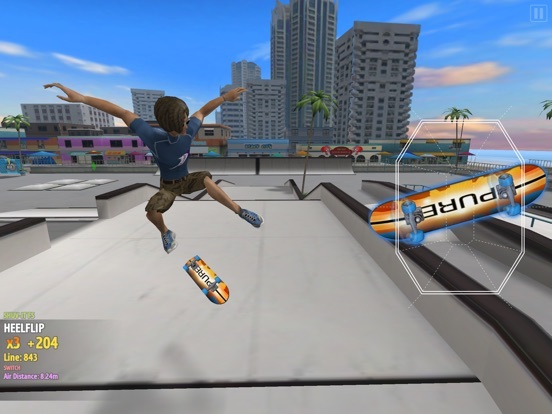 PureSkate 2 is the next closest thing to actually skateboarding (and if you can do that, then we recommend that instead!). Any and all feedback is appreciated, don’t hesitate to contact us! Pretty excited to try this one, thanks! Oh really? Definitely didn't realize that - if enough people post about this i'll be sure to add an additional random prize for those in that camp. claimed 9RFTWHE96K43. Thanks for the contest. I can't leave a review but i will post impressions on the game thread here on TA. I like that everything can be unlocked for in-game currency! Looks fun. I'll think about it after I read some impressions. Only 4 more days for the content and with so few entrants, your chances are GREAT!! Reviews (need to be $2 paid) or impressions count for the contest, so please update the main thread with any and all comments you have! If you missed out on the first round of promos and are committed to sharing an impression please ping us directly. Thanks!! I'll post my review. Look for jstein360. Aargh! It got rid of my spacing in my review! Oh well. Will post the contest winners shortly! Can be verified at randomresult.com using ticket: 12973W673L. I will be contacting them via private messages shortly. Thanks to all who participated... as a show of gratitude, I'll be posting some more promos shortly. Thanks again to everyone for checking it out and providing feedback, its been great! !